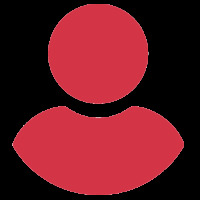 I have an investing account at UBS, which I access through UBS Online Services. 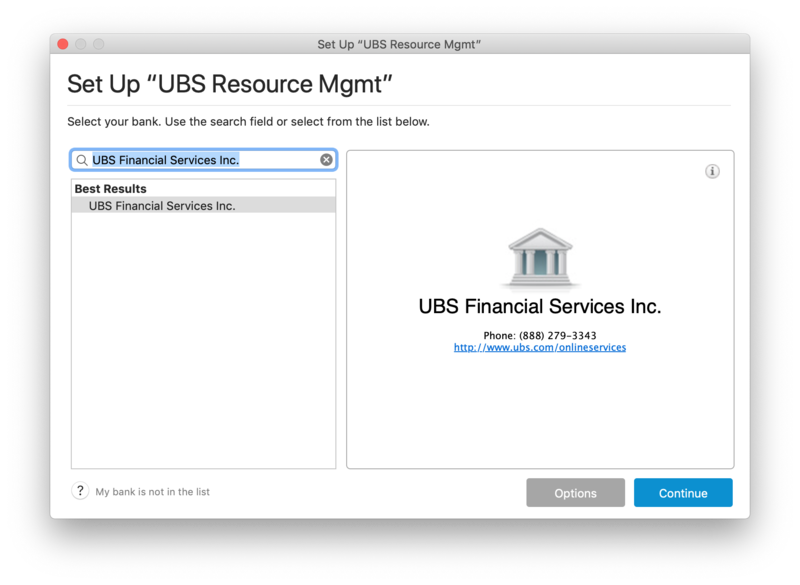 When I try to set up transaction download, I select "UBS Financial Services Inc." from the bank list, then enter my "UBS Online Services User Name" and "UBS Online Services Password" (the same ones that I use to log in to the website). I get "Oops. We're having a problem. 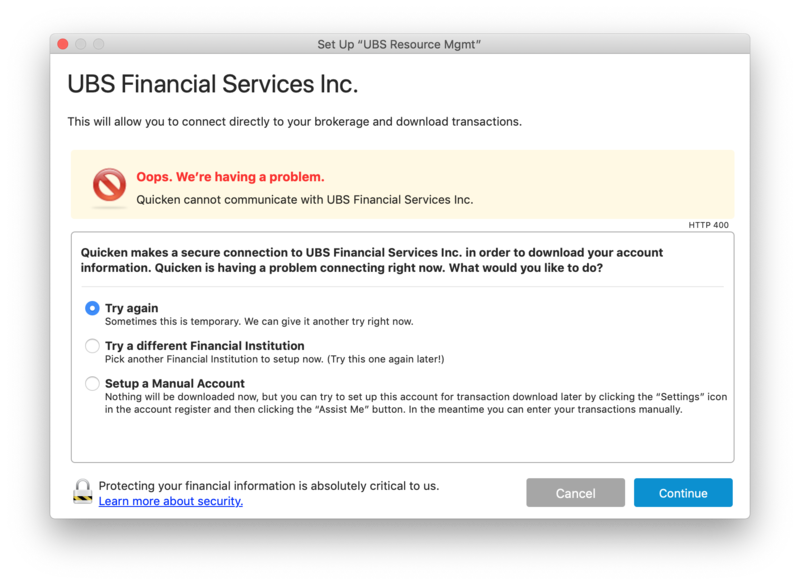 Quicken cannot communicate with UBS Financial Services Inc."
Anyone else had problems with UBS? 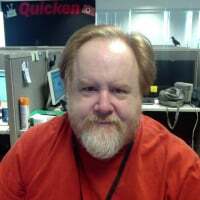 For these types of connectivity problems, your best bet is to contact Quicken Support. Those representatives have the ability to escalate issues to the team that handles connectivity to financial institutions if they verify your setup is correct and there is a bona fide problem. Hello Neil. Appreciate your question. Can you provide more information on this error? Can you provide us an image of your "Account Status" window (Window > Account Status) or a screen shot of the error itself? OK. The attached screen shots should be self-explanatory. There's nothing to see in the Account Status window, because the account never gets set up for downloads. Neil - I'm also getting this message. 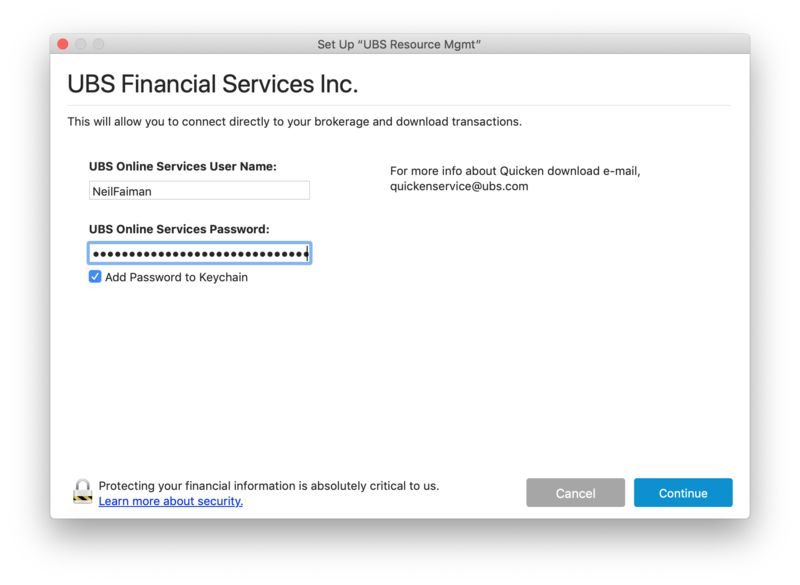 I called UBS but they explained that Quicken will need to be the one to help me. I too am anxiously awaiting response to your question.